Hi lovelies! Since switching to a plant based diet, I'm absolutely obsessed with finding and creating new recipes that prove you don't need meat, dairy and eggs to make a yummy meal, snack or treat. In this case, that proves to be very true. 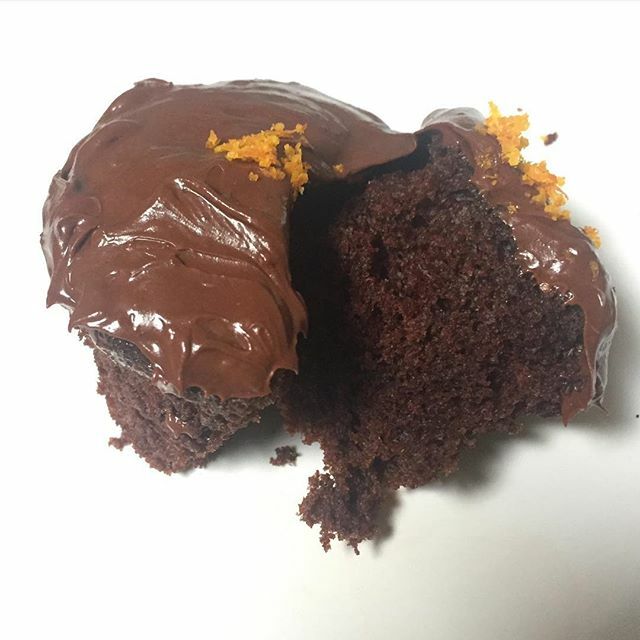 Today, I'm going to share with you my new favourite recipe for Chocolate Orange cupcakes. While this is vegan, it's definitely not the healthiest thing you can eat by any means, so to avoid eating several in one sitting (they're so yummy, you totally could), I'd recommend making these when you have friends and family around the share them with! I love making these for my family and friends because it proves that you definitely can have a vegan cake that's absolutely anything but boring. 1. Start by mixing together your dry ingredients to fully combine them. This is the flours, sugar, cocoa powder, and bicarb. 2. When fully combined, add your orange juice, zest, water and oil and stir in well. 3. When everything is mixed together completely, add the vinegar and stir in. This creates a mini reaction with the bicarbonate of soda and will make your mixture go lighter for a moment, keep stirring and it's ready when it returns to it's regular colour. Put equal amounts of the mixture into cupcake cases and bake at 180 Degrees Celsius for around 12-15 minutes. The exact time will depend on how big your cupcakes are so do keep an eye on them. As with any cake, they're done when you poke a knife or cocktail stick in and it comes out clean! Now for the icing, I did use Betty Crocker's Chocolate Fudge Frosting, this is technically vegan as it contains no dairy or eggs, however it is made in a factory that handles these products (as many things are), so you can make up your own mind on how you feel about that. For 12 Cupcakes I used about 1/2 a tub and mixed in 2 Tablespoons of orange juice and about 1 teaspoon of zest. While the cupcakes are cooling, pop the frosting/ juice mixture in the fridge to harden up slightly. While both these are cooling, you can prepare the optional sweet zest topping. For the decoration, I took around a Tablespoon of zest, mixed it with a little sugar and layed it on a baking tray and placed into the already hot oven as soon as the cakes came out. You'll want to turn the oven off first and just let it dry out a little while the oven cools down. You literally only want to leave this in for a few minutes and keep an eye on it at all times. This is just to remove the bitter taste from the zest and to dry it out and little and make it easier to sprinkle on the cakes. This step is of course, optional but it does make the cakes look pretty! After icing and decorating, all that's left to do is enjoy! You'll want to eat these fresh out of the oven but I'd recommend letting them cool off and letting the frosting firm up just a little as they taste best completely cooled. I'd love to know what you think of this recipe and if you'd like me to post more! I really enjoyed making (and eating!) 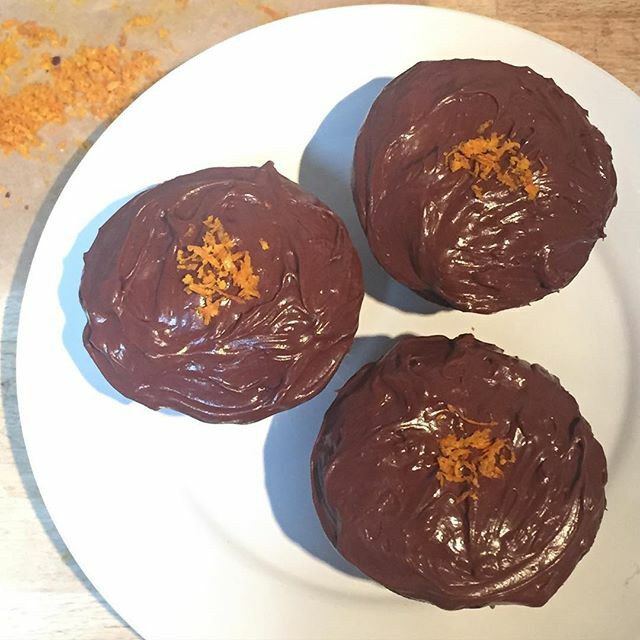 these cupcakes so I'd definitely love to know if you plan on giving them a try! If you do, definitely tag me on twitter or instagram (@chloesway on both!) so I can see your creations!